The Microdesk Compact Angle Board is a more compact version of the Microdesk Regular. 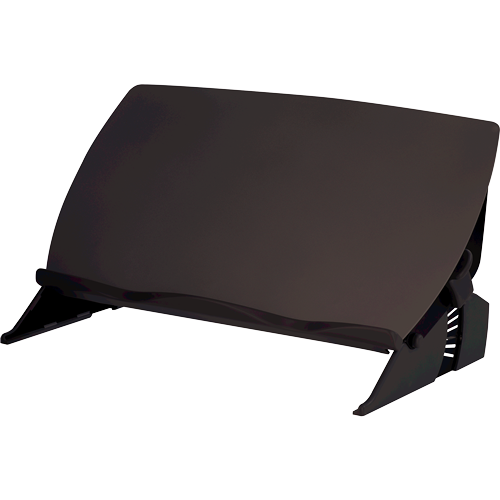 This angle board is ideal for use with a laptop or where desk space is cramped. Do you have a small work desk and constantly find yourself struggling for more space? If so, the Microdesk Compact Angle Board can instantly provide you with more working space to any desk. This angle board was designed by a physiotherapist to reduce the twisting and reaching of the arm that often occurs when people work with documents at their computer. The angle board has been carefully designed to increase comfort, improve posture and increase productivity levels in the workplace. 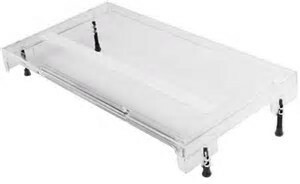 The Microdesk Compact Angle Board is height adjustable to suit all heights.